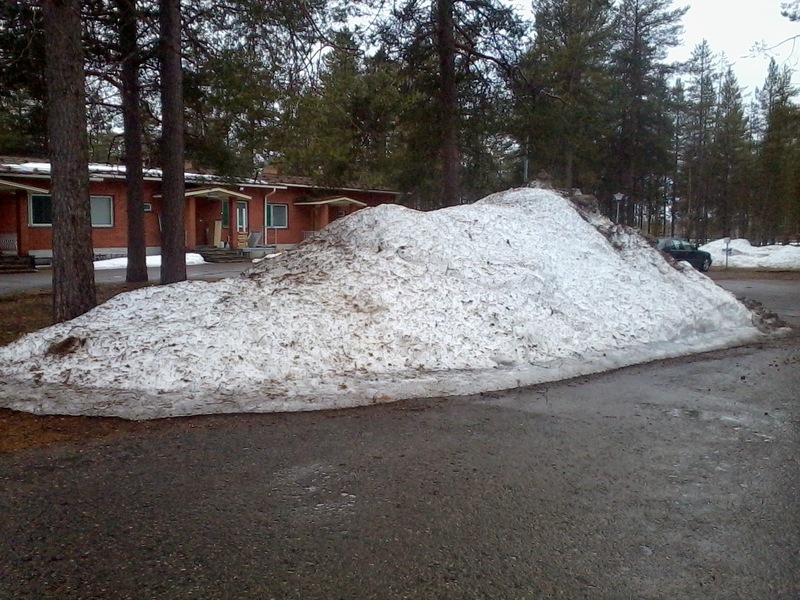 As the snow starts to melt away, we are left with great mounds of snow. This is where the tractors and ploughs have shoved them off the roads during winter clearing operations. 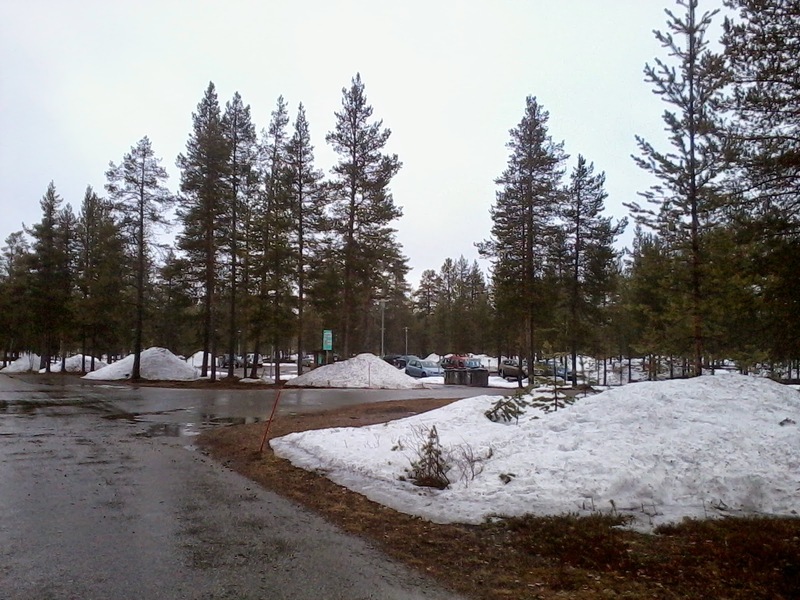 Of course the snow piles are quite high (sometimes as much as 3 metres) and they take a while to melt away.